We love to see brides and grooms smashing wedding cake in each others faces during wedding receptions, simply because they are rare, unpredictable, and so much fun to photograph! 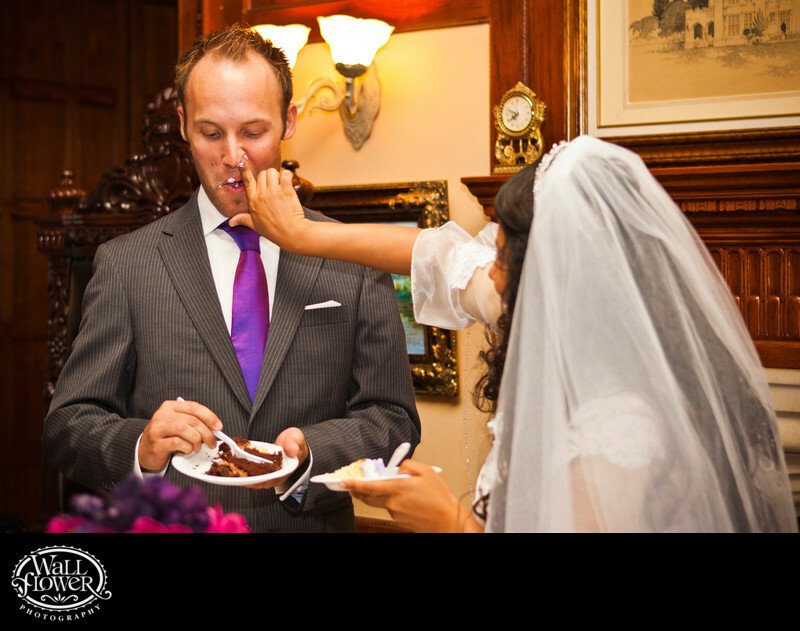 This bride took it to a new level by jamming a frosting-coated finger up her groom's nose shortly after giving him a mostly tidy bite of cake. He did get his revenge, chasing her around the dining room at Thornewood Castle before landing a nice swipe on her face.